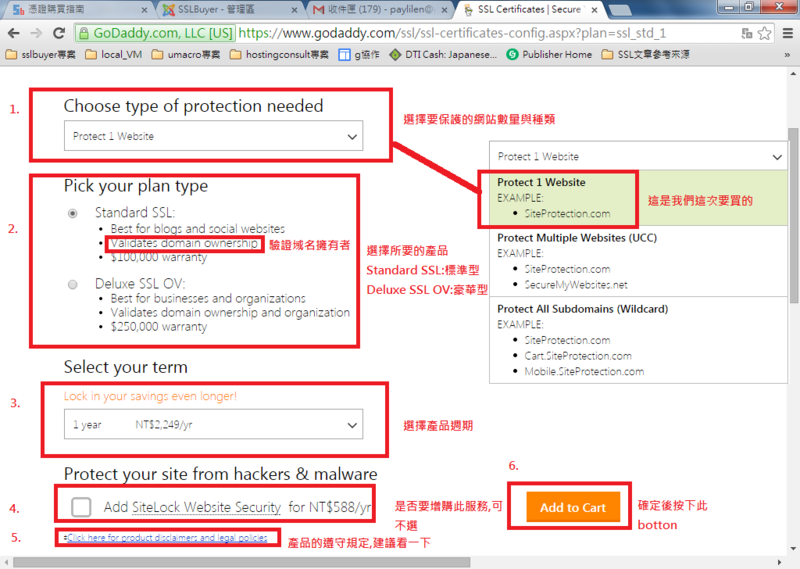 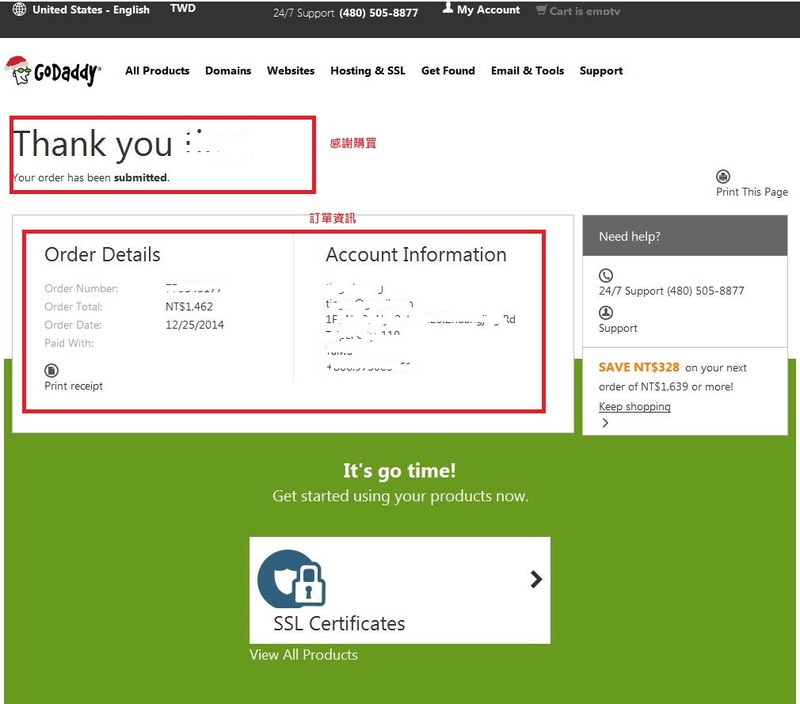 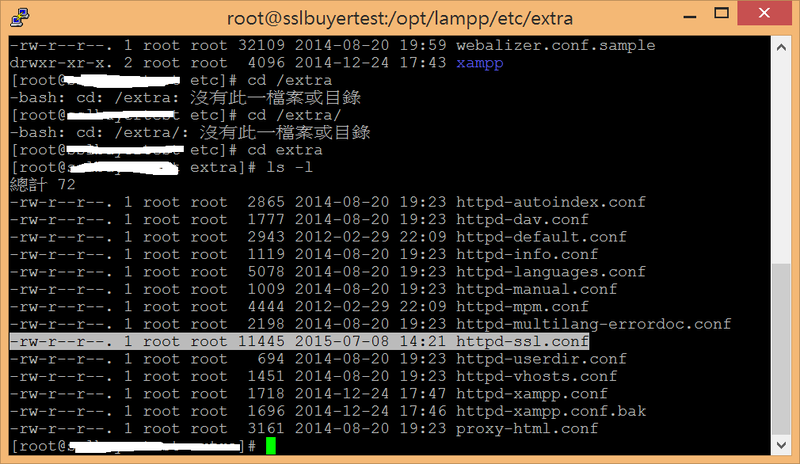 1.Choose type of protection needed:請先選擇哪種產品,我們這次要買的是Protect 1 Website產品,如果您有其他需求可以選其他選項如:Protect Multiple Websites (UCC)是多網域的憑證,Protect All Subdomains (Wildcard)這是萬用網域的憑證),不同產品後面的連動選項會不同! 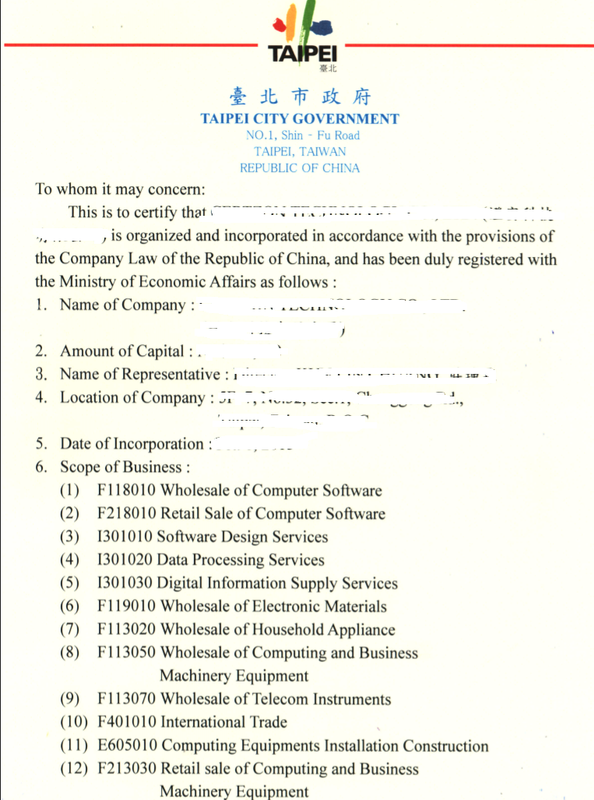 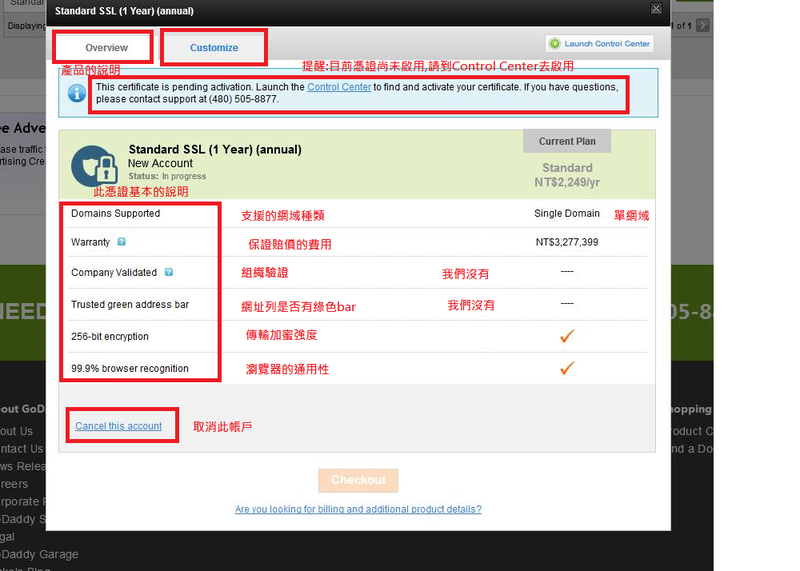 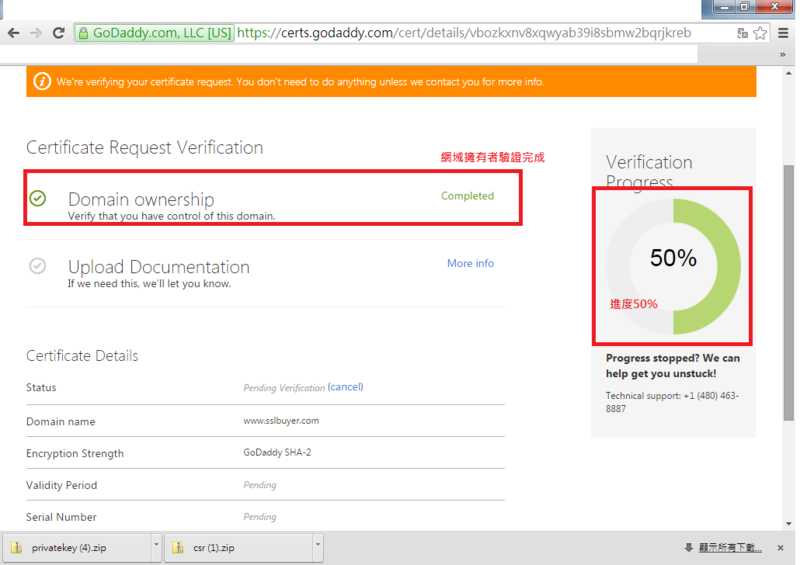 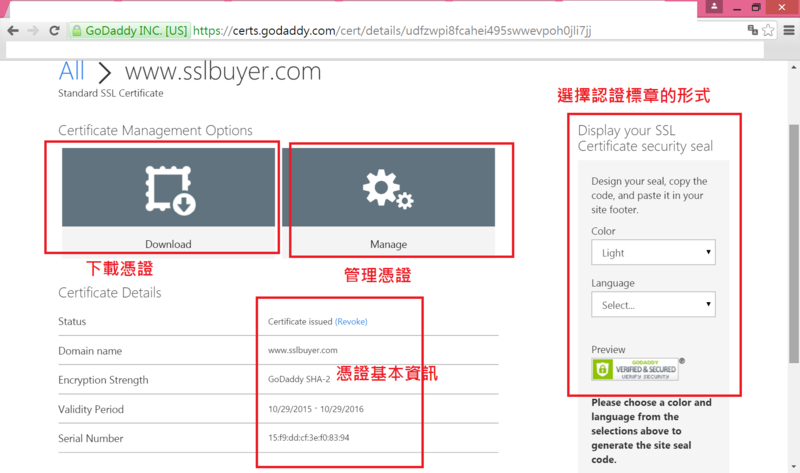 5.Click here for product disclaimers and legal policies:這是產品遵守條款,建議應該要看一下! 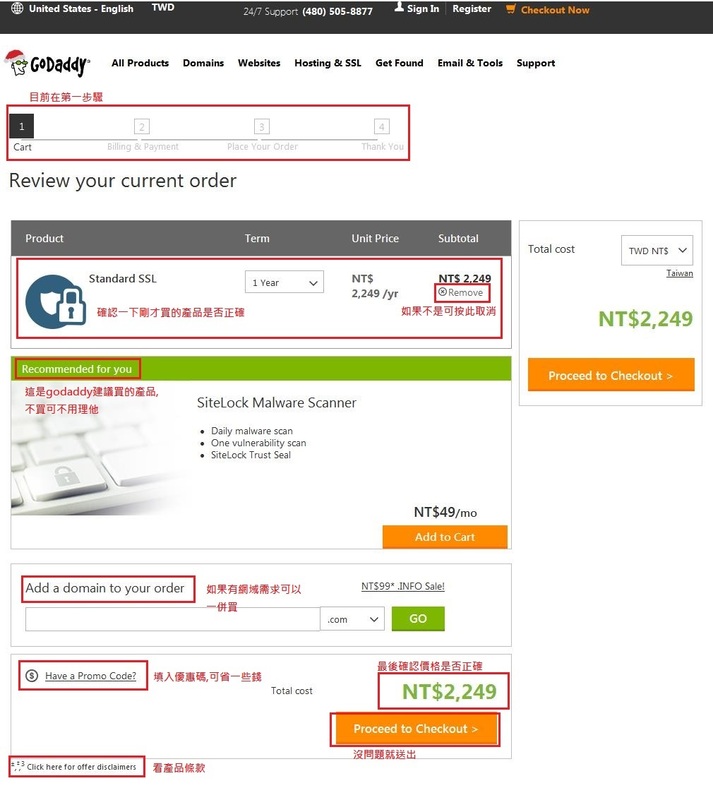 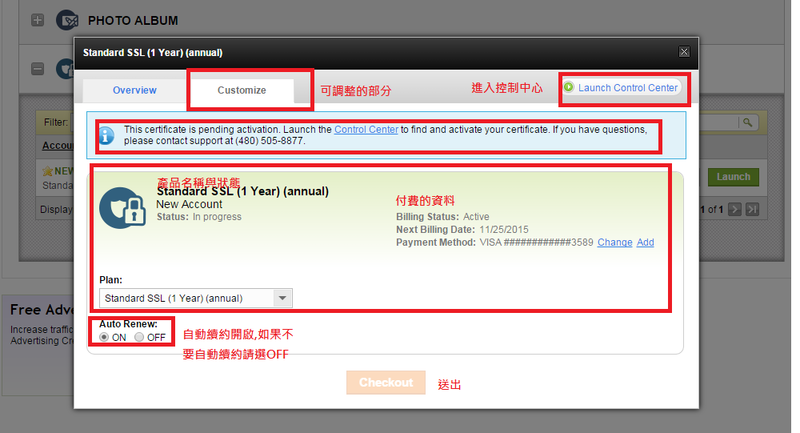 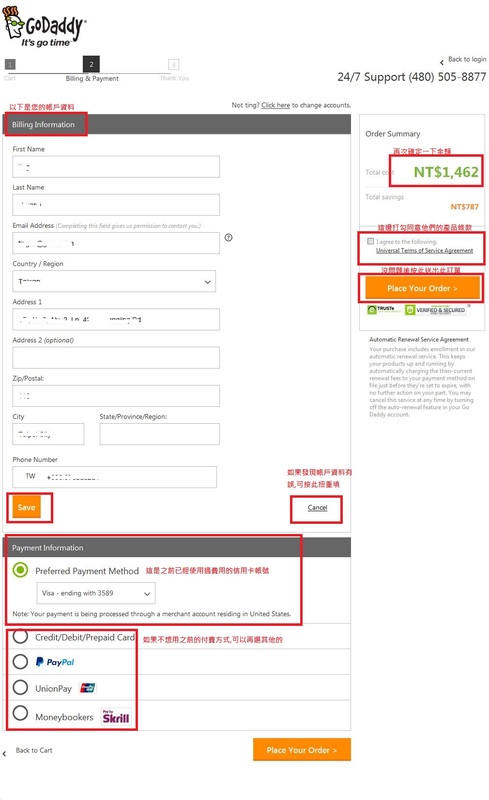 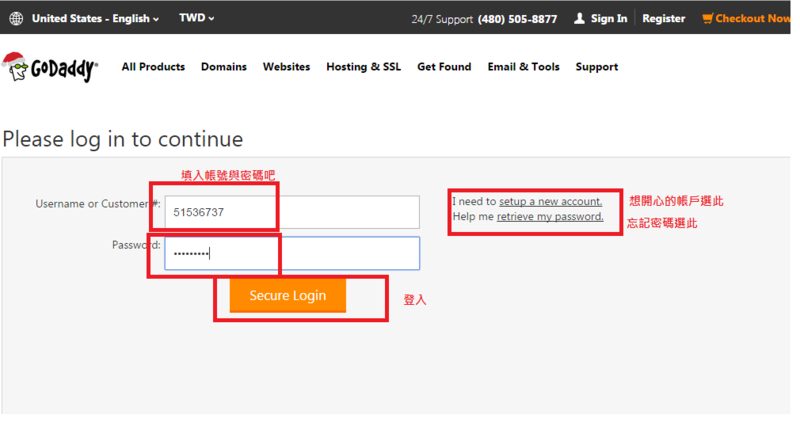 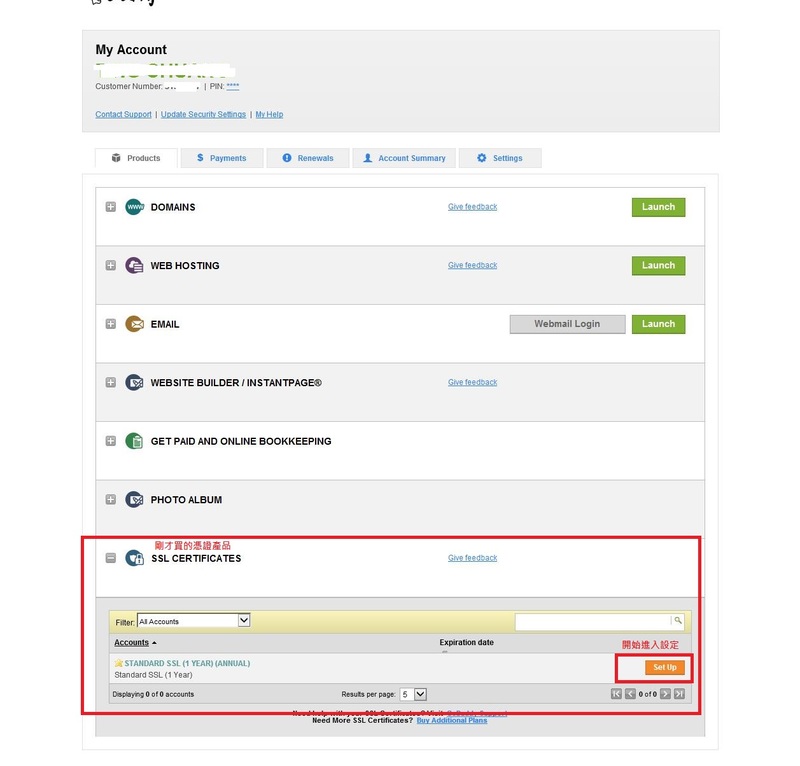 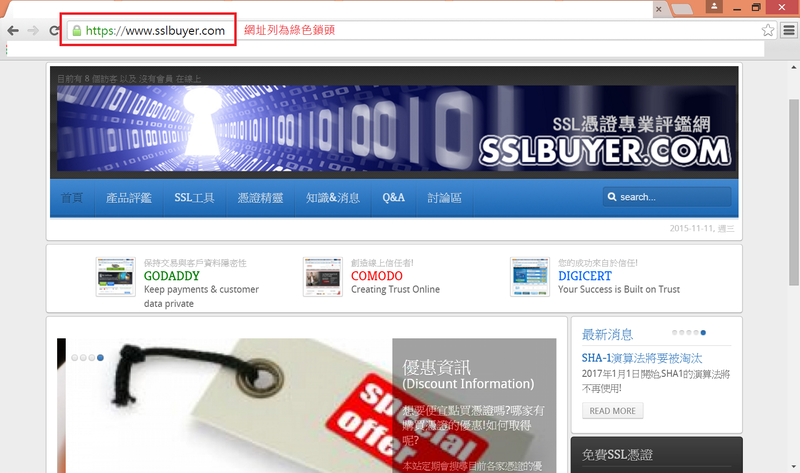 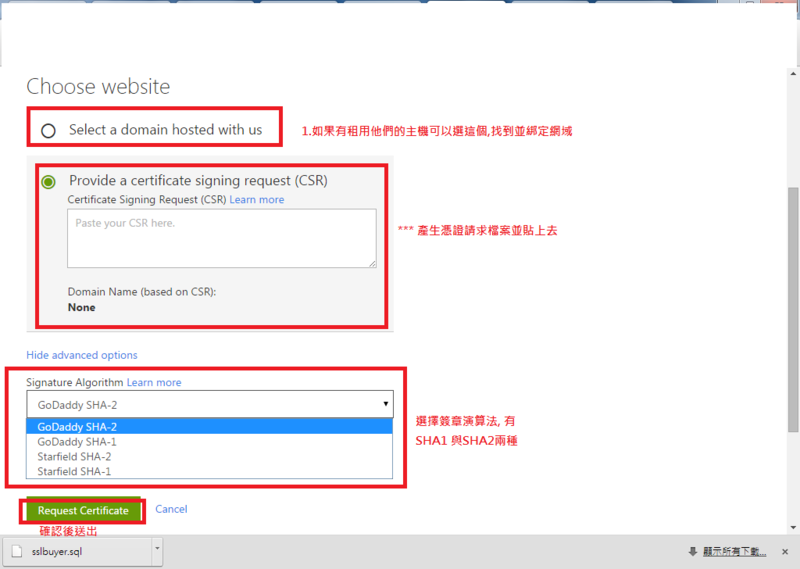 1.Select a domain hosted with us : 這是說如果您有在他們這邊購買主機空間的話,可以使用此選項,找到你的網域,因為我們沒有在這邊租用主機,不選此項! 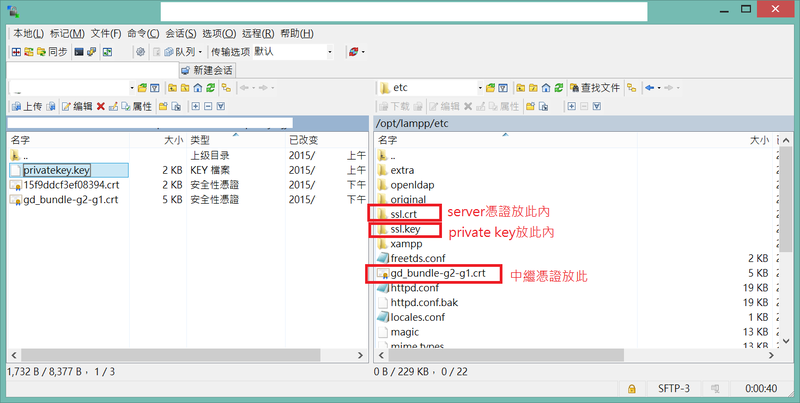 3.Show advanced options:主要是提供憑證簽章演算法的選擇,點下去後會出現幾個選項,建議使用SHA-2的演算法,因為2017年SHA-1將淘汰!至於是哪個廠商(Godaddy or starfield),自己選擇吧!建議godaddy SHA-2! 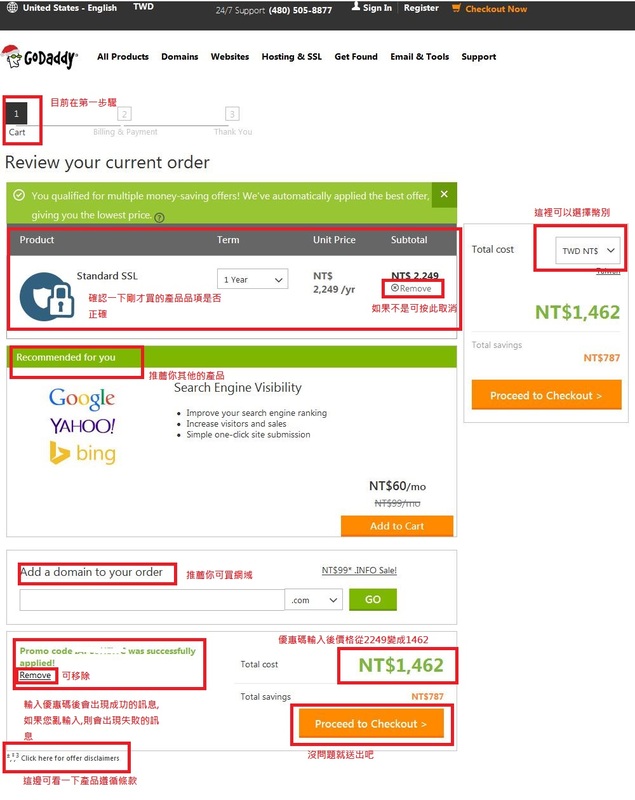 這時候您來到憑證的控制台畫面,您會看到一些憑證基本的資訊,還有download與manage的圖示,您將來的憑證管理都在此了,右邊有一個displayer your SSL Certificte security seal,這個是讓您可以選擇您要的認證標章,等我們安裝完成憑證後,再來看如何放到您的網頁上! 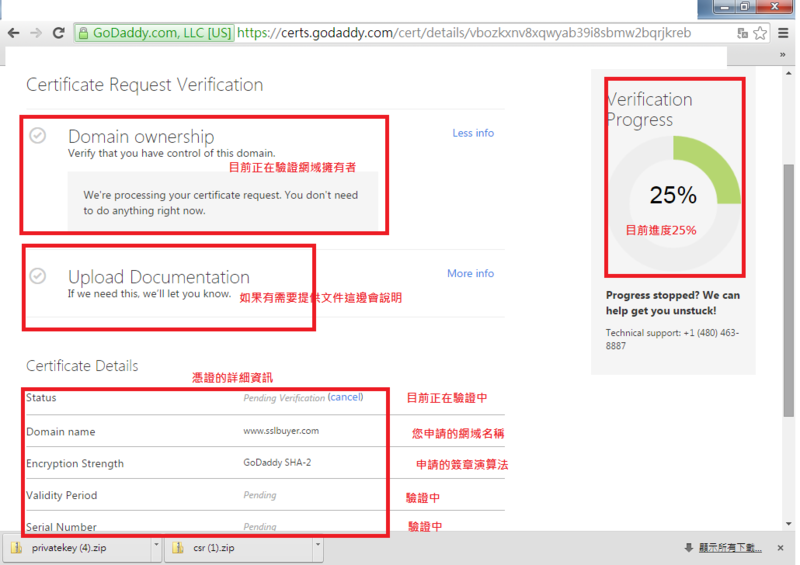 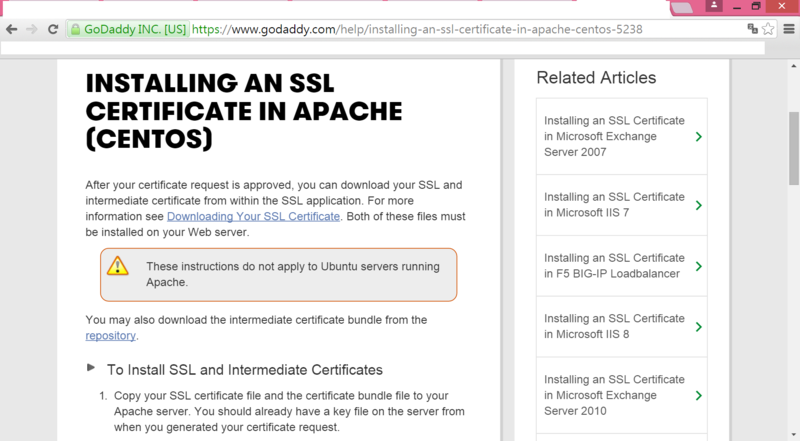 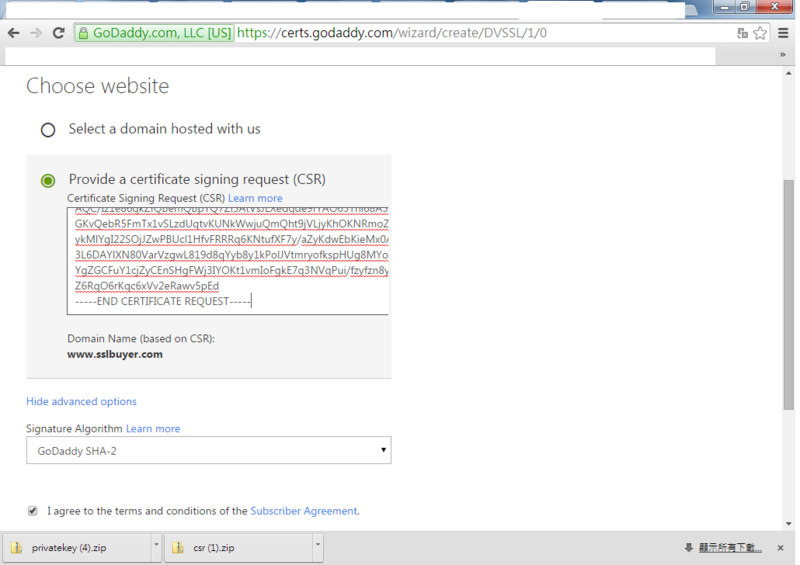 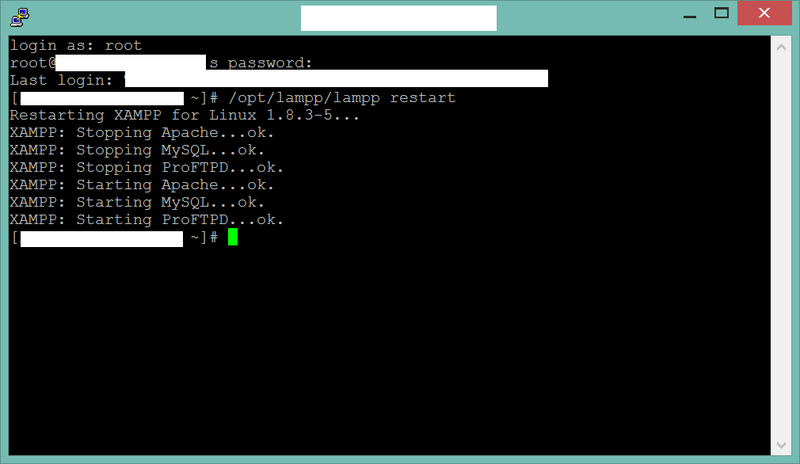 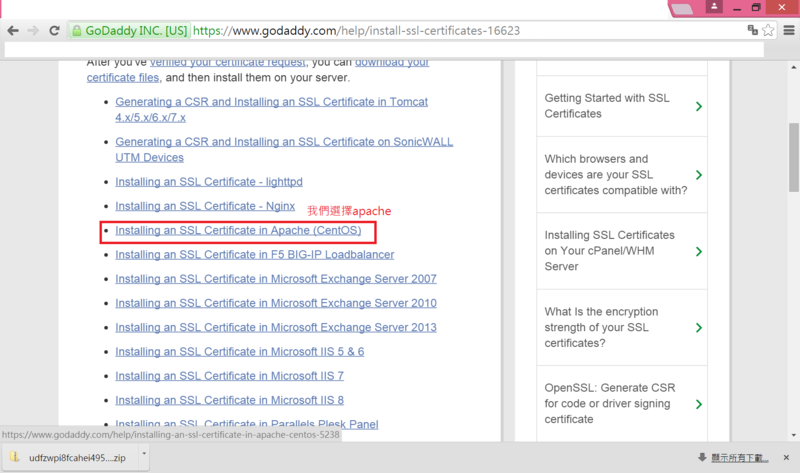 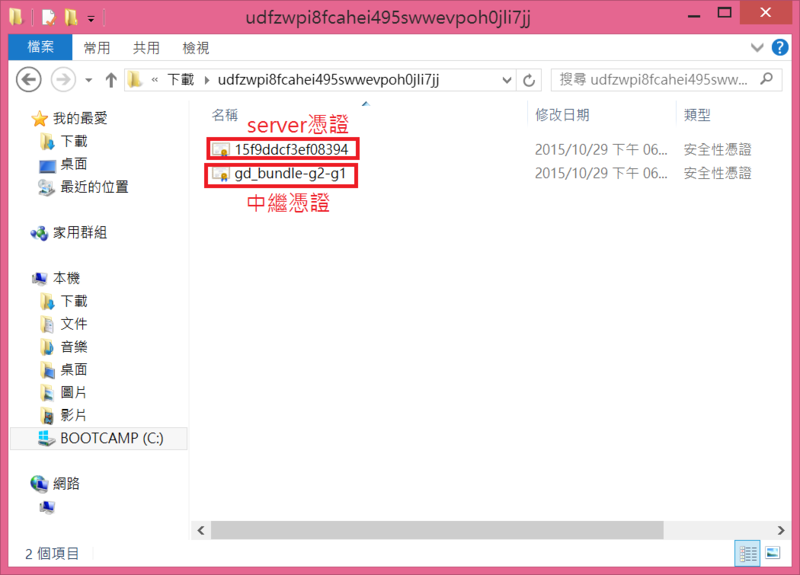 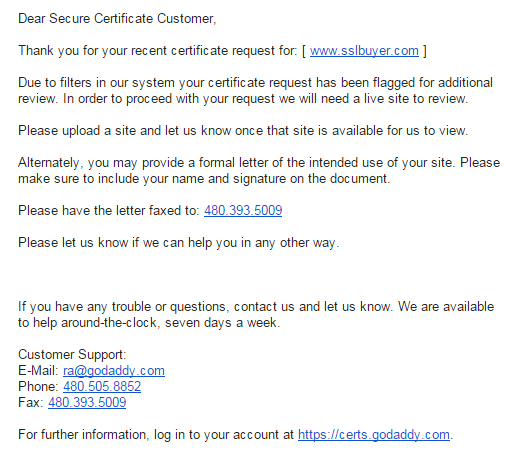 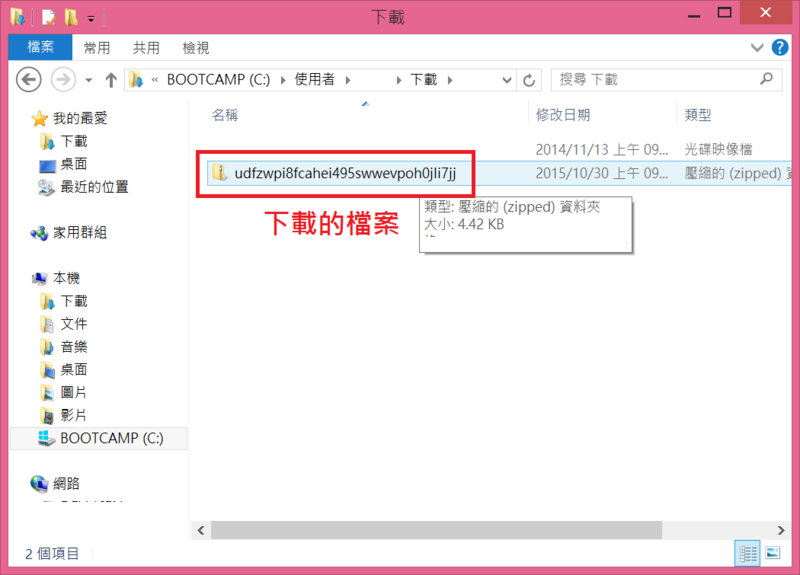 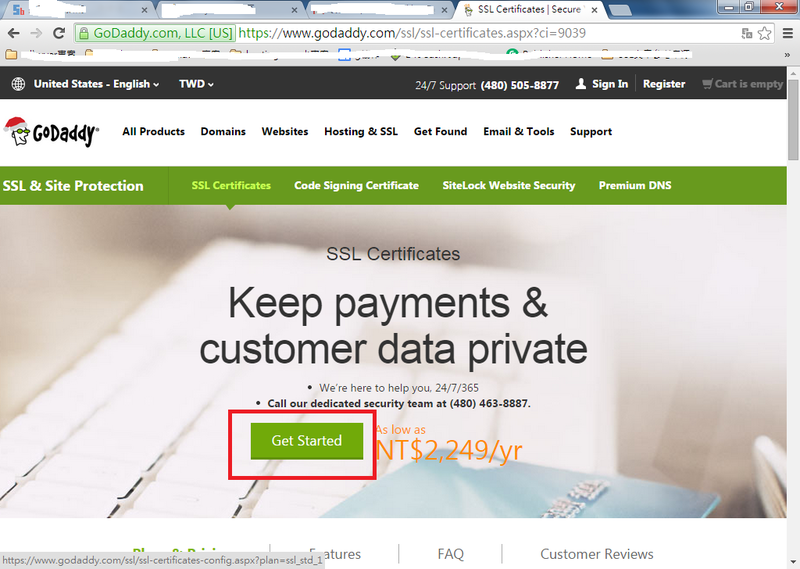 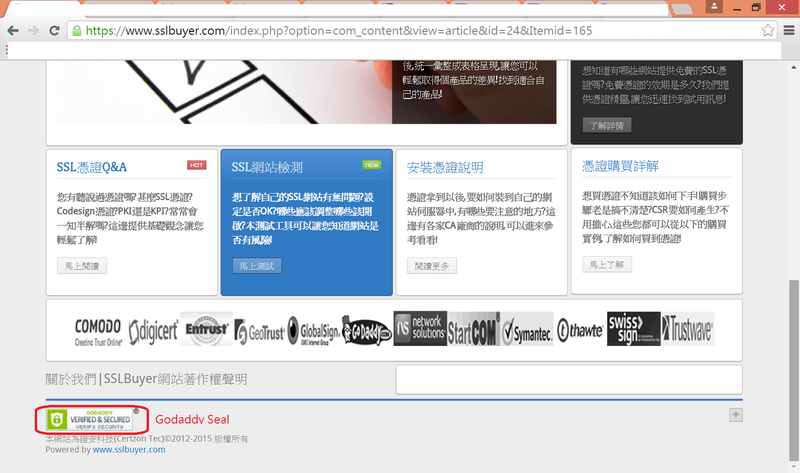 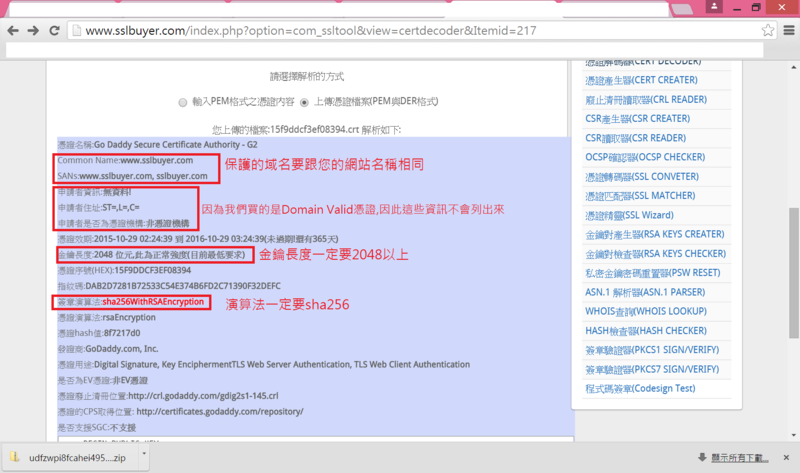 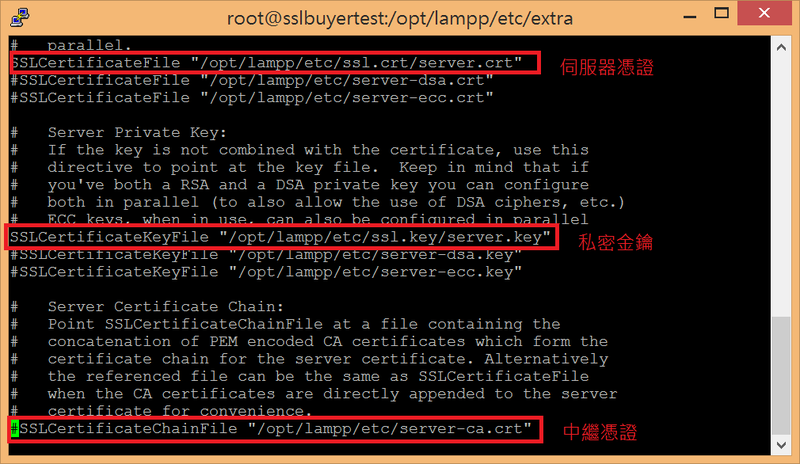 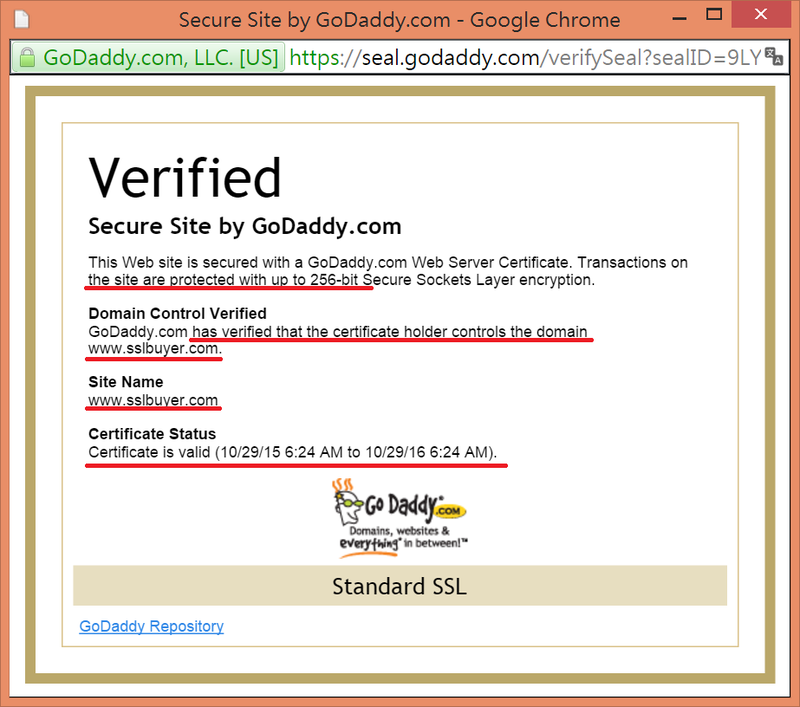 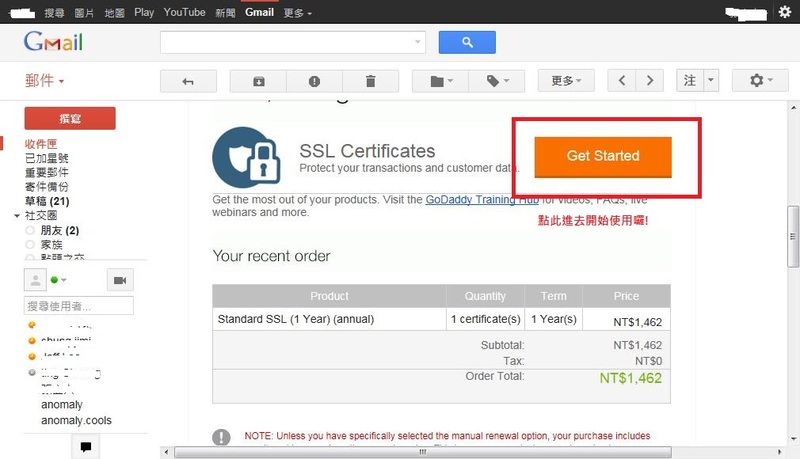 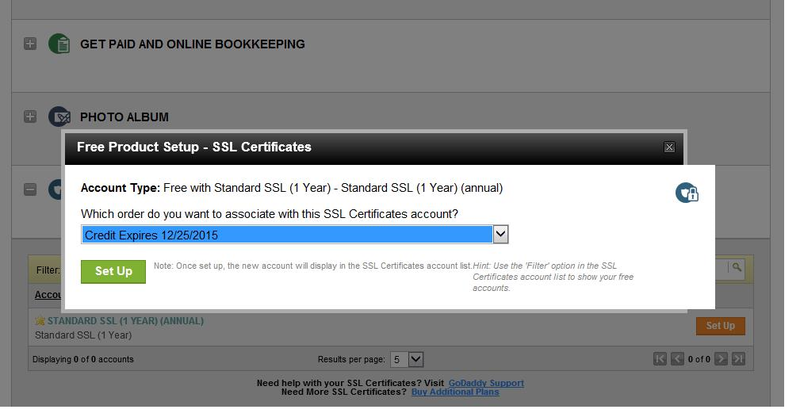 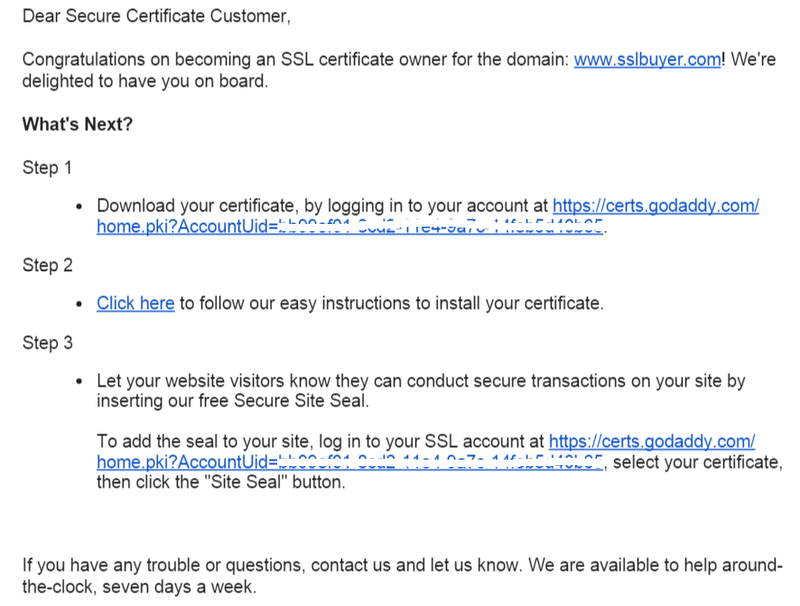 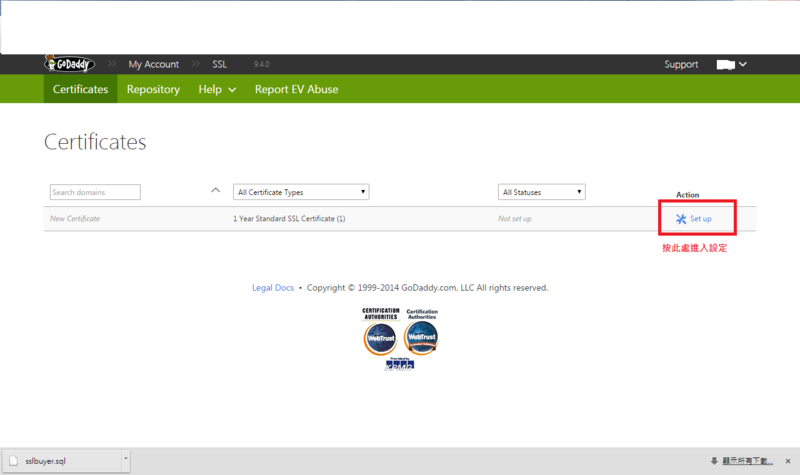 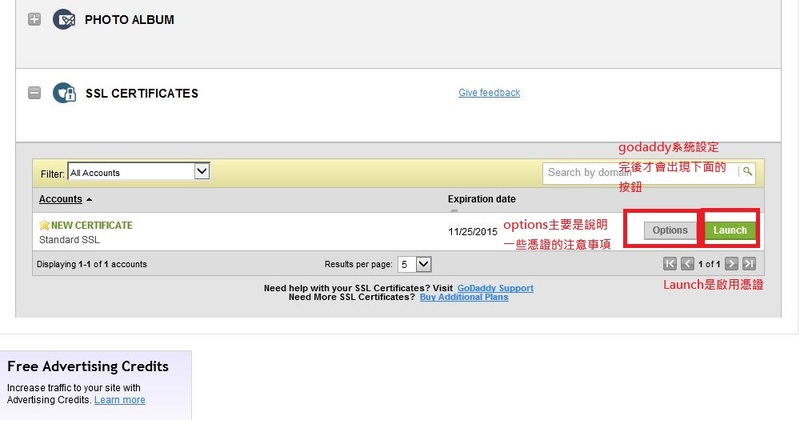 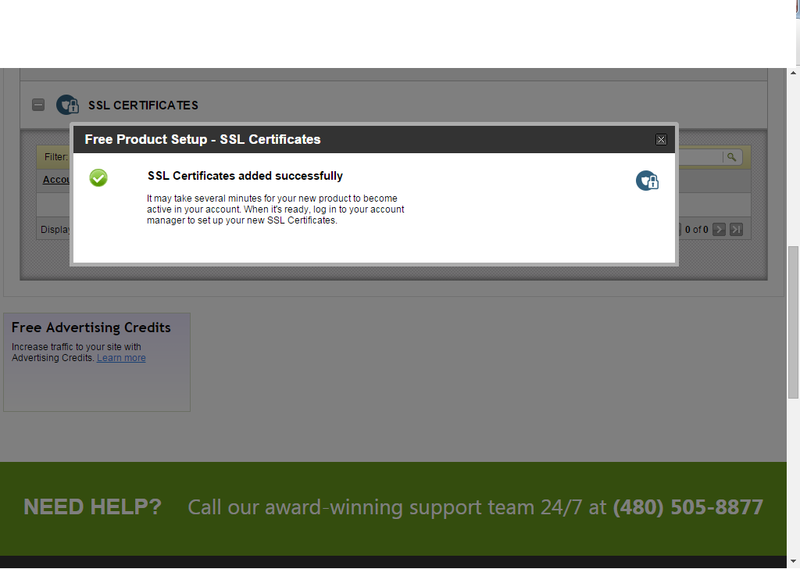 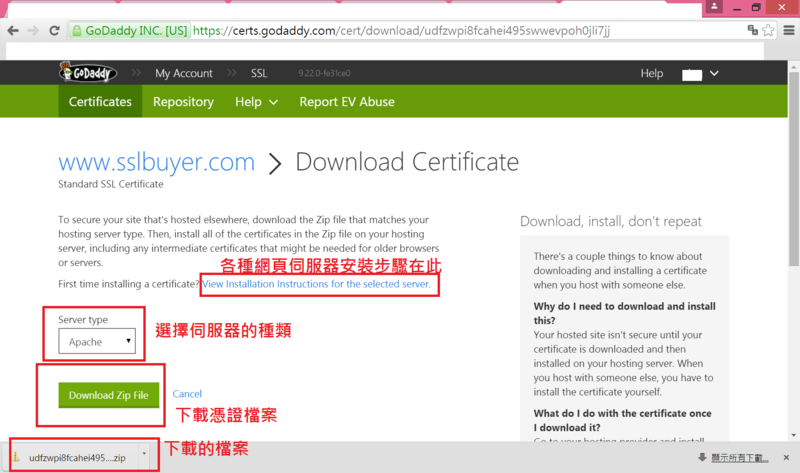 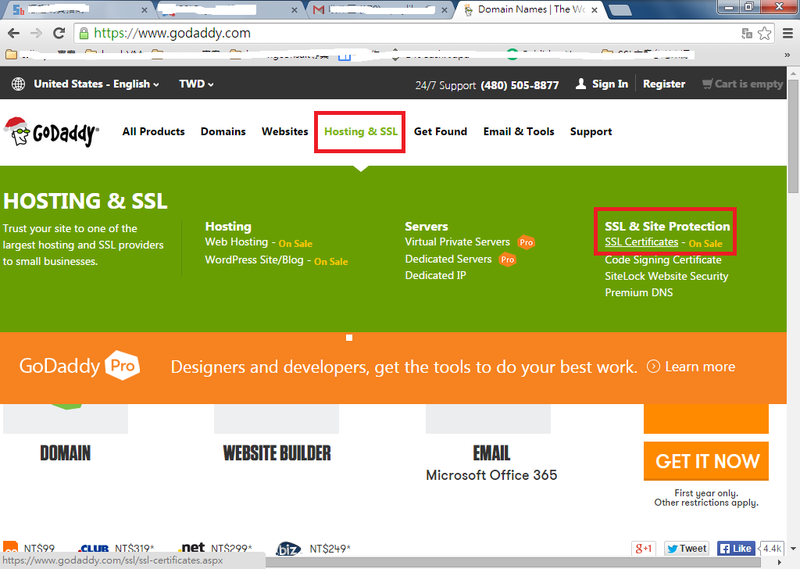 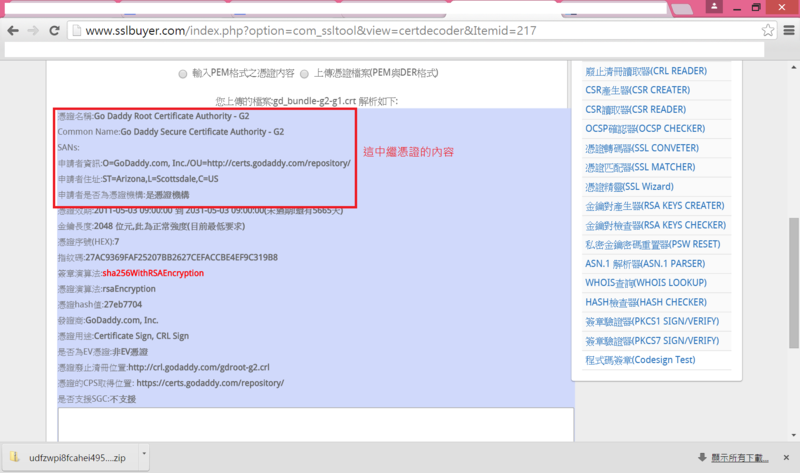 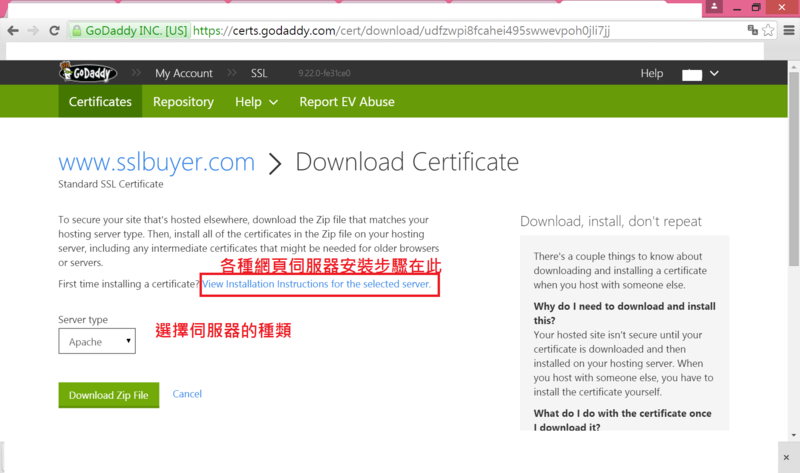 可看到右邊有Display your SSL Certificate security seal 您可以選擇要標章的樣式, 提供兩種黑的dark與白的light,然後是選擇語言,因為沒看到中文的請選擇英文吧! 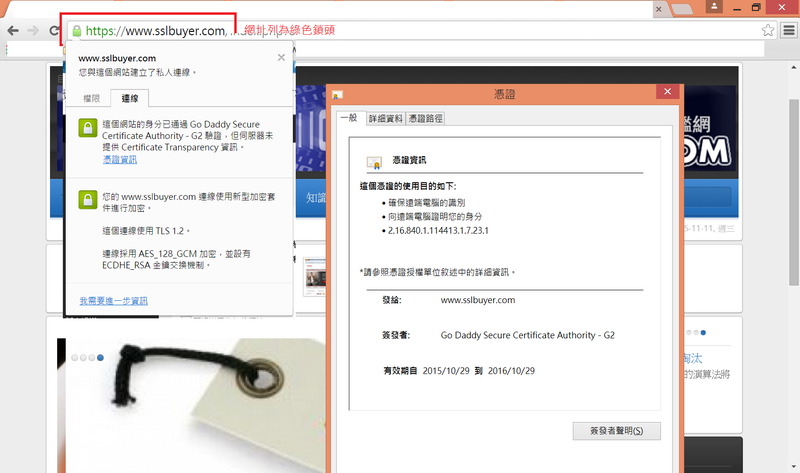 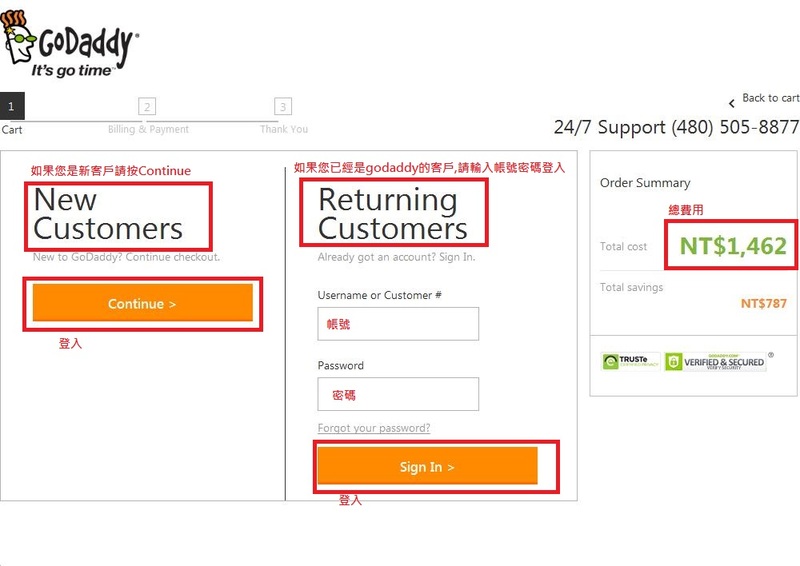 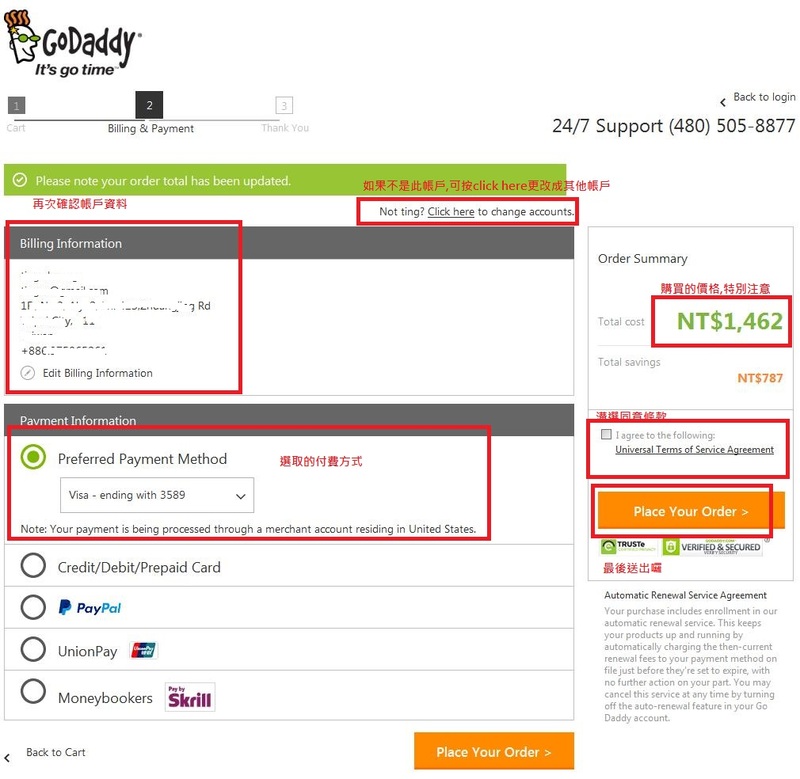 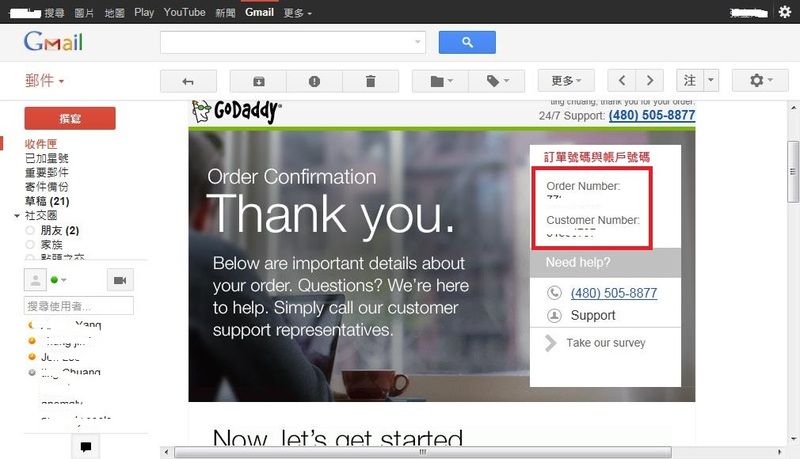 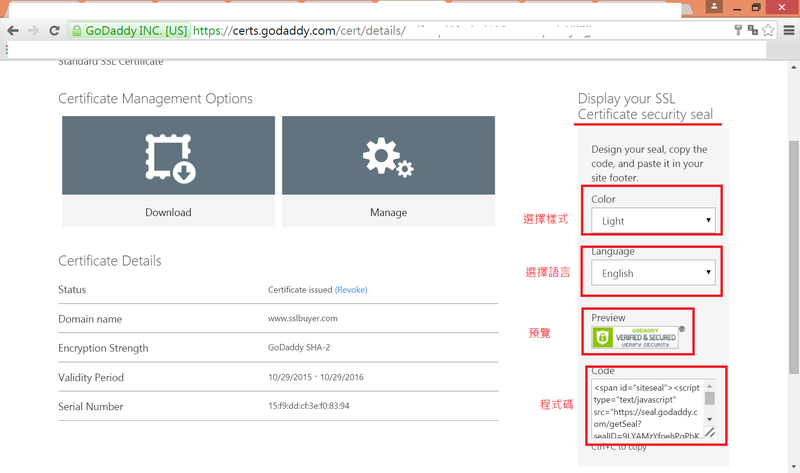 後記1: 這次購買godaddy DV SSL憑證,原本以為驗證email之後就可以拿到憑證,但是卻因為被godaddy稽核到需要傳送公司登記證明,因此花了一段時間進行,大家可能 會覺得很奇怪,DV憑證的發放不是很快嗎?一般來說不需要傳送公司證明的話會很快,幾乎是幾分鐘內的事情(因為我們送出文件後到驗證完成不到10分鐘),因為是隨機被抽到要查公司文件 所以準備文件花了一些時間(因為公司英文證明申請需要一兩周),由此可見!godaddy是一家嚴謹的公司,不會隨便亂發憑證給客戶!這也是值得信賴的公司!